The angels of our lives was created to thank, recognize, and celebrate all the Earth Angels who have positively impacted our lives. 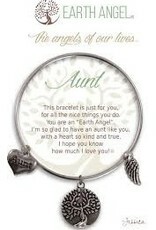 Each bracelet is individually hand polished and available in 3 finishes (antique silver, antique brass, and antique copper) and accompanied with corresponding accent charm and inspiring original "Aunt" verse. Every piece is made with great care and attention to detail with quality plated brass. All metal used is cadmium, lead, and nickel free complying with the highest environmental standards. 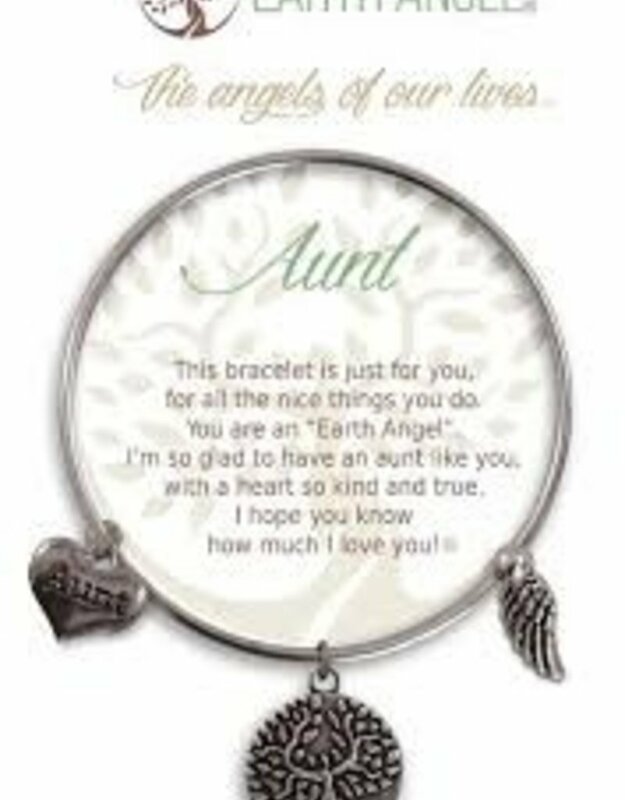 Our bracelets are attractively displayed in individual gift boxes with care cards making them the perfect keepsake for all "The Angels of Our Lives".